We are living in a time of deep divisions. Americans are sorting themselves along racial, religious, and cultural lines, leading to a level of polarization that the country hasn’t seen since the Civil War. Pundits and politicians are calling for us to come together and find common purpose. But how, exactly, can this be done? 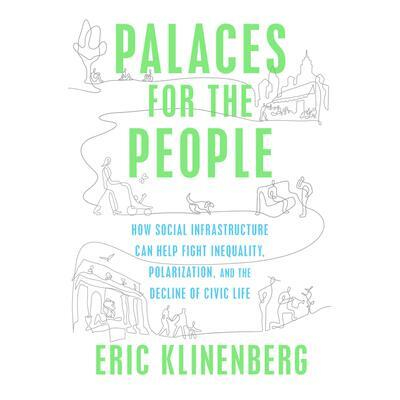 In Palaces for the People, Eric Klinenberg suggests a way forward. He believes that the future of democratic societies rests not simply on shared values but on shared spaces: the libraries, childcare centers, churches, and parks where crucial connections are formed. Interweaving his own research with examples from around the globe, Klinenberg shows how “social infrastructure” is helping to solve some of our most pressing societal challenges. Richly reported and ultimately uplifting, Palaces for the People offers a blueprint for bridging our seemingly unbridgeable divides.